On the Sacred Rock of the Acropolis and the Parthenon you are reborn and revived again by the long glorious history and the mystic surroundings.The countless magnificent statues,reliefs and artefacts catch your heart and excite admiration ,elevating your mind and your spirit .The intellectual and moral uplift you feel bring about a peace of mind and you don’t want to leave the tranquil place…. “NOTHING IN EXCESS” an inscription from the temple of Apollo at Delphi,my post is ready,very fresh for me to publish ,short but with substance. 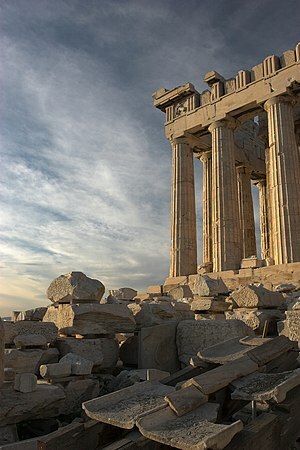 Thank you so much you visited my “The Acropolis of Athens” post and your intellectual way of commenting on it.You couldn’t have found a more sophisticated way to approach it. Lord Byron didn’t care for the sculptures calling them misshapen monuments.He objected to their removal from their birthplace. It gives me greatl pleasure to leave a reply to a real English Gentleman.